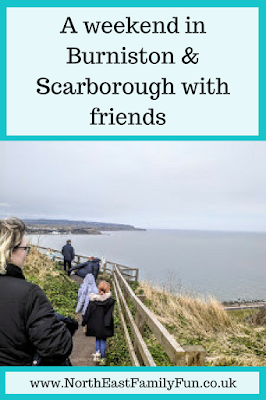 I love Scarborough and it is somewhere I've visited probably over 25 times in my lifetime. There's always so much to do for kids and I especially love the North Bay area. 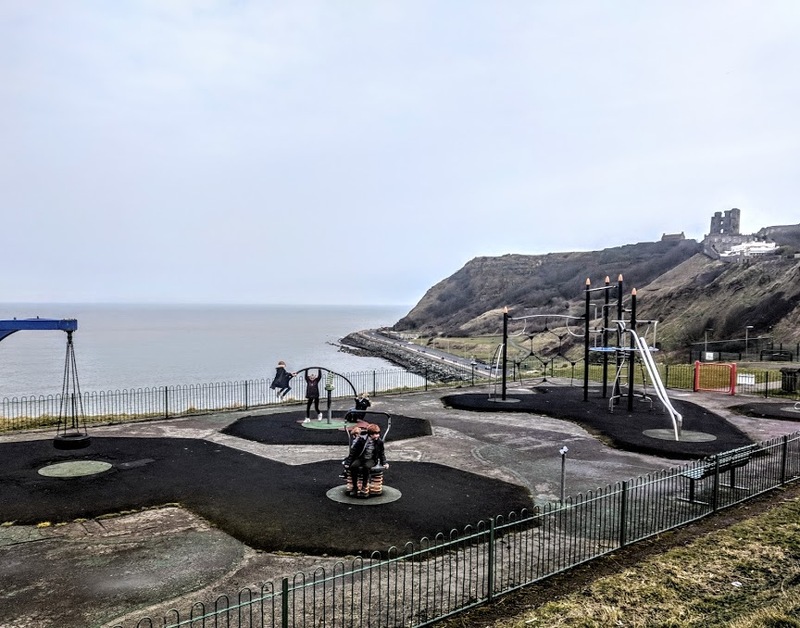 Scarborough holds so many happy memories for me and part of the reason I love it so much is the nostalgia and memories of visiting here for holidays as a child myself. 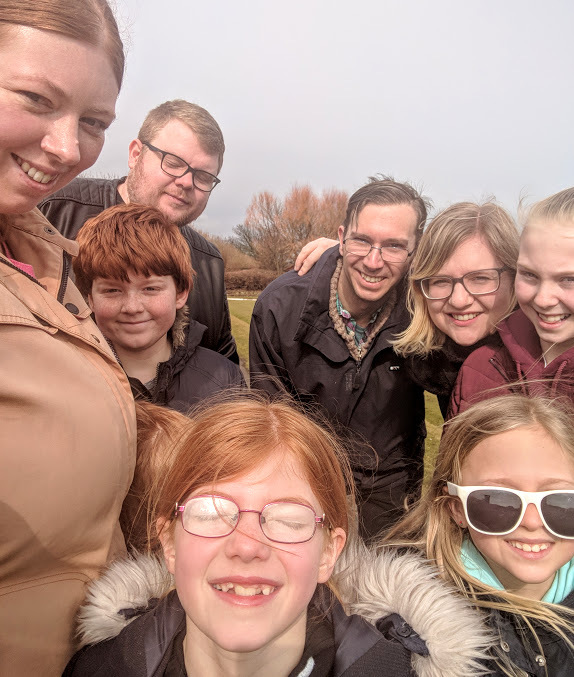 We've stayed on numerous occasions with our own children and loved staying at the Haven sites when they were little before moving onto glamping at a camping and caravanning site a few years ago. We are super lucky that this year our friends The Hoopers invited us along to their secret Scarborough retreat in Burniston this March. 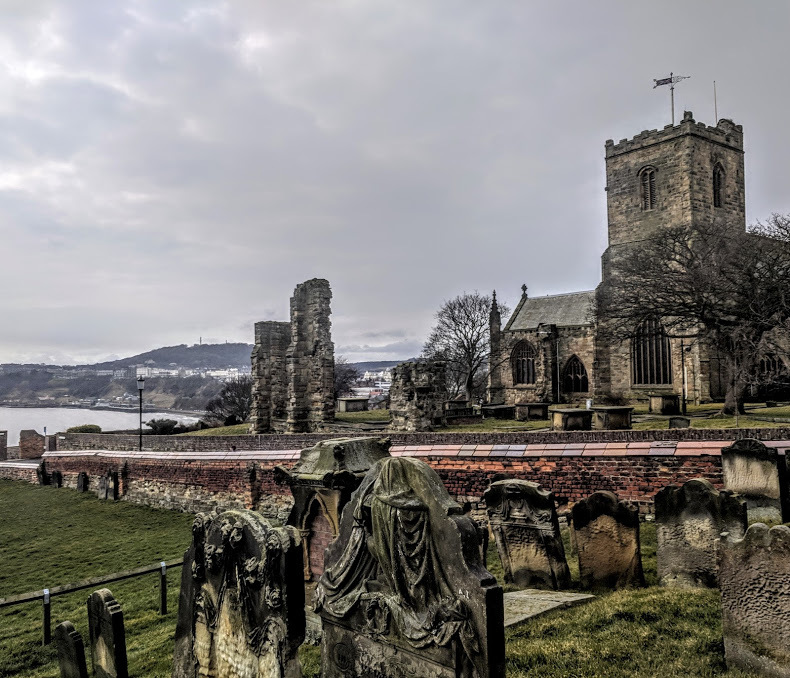 Burniston is a lovely Yorkshire village just a few miles out of Scarborough (if you've visited Scarborough before, you'll have probably driven through it). 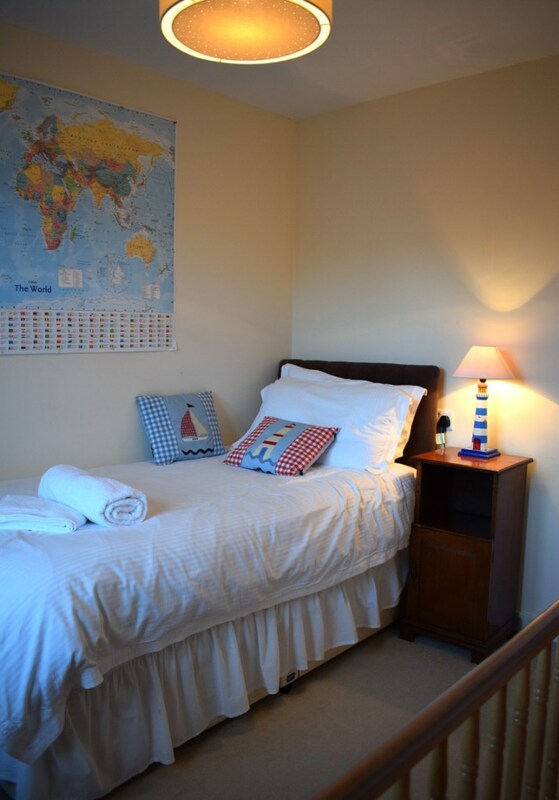 Meadowside Cottage in Burniston technically sleeps 7 (shhhh don't tell anyone we sneaked a couple of extra kids in with us). 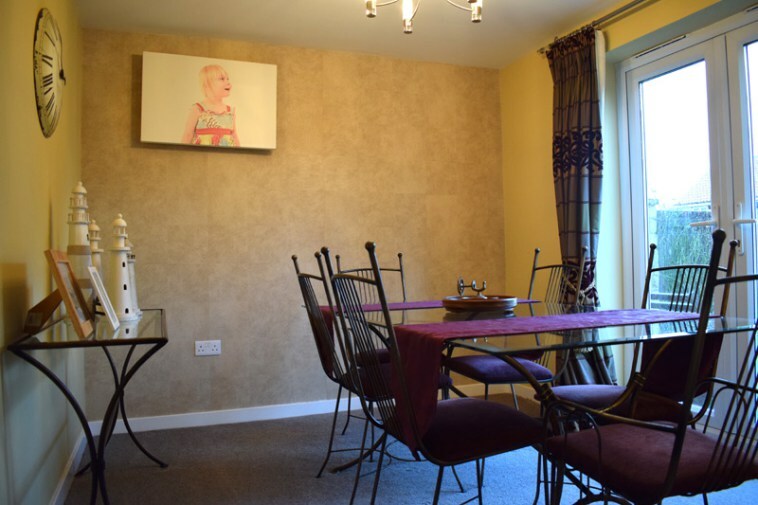 The accommodation is detached, modern and very spacious with 4 bedrooms and 3 bathrooms. 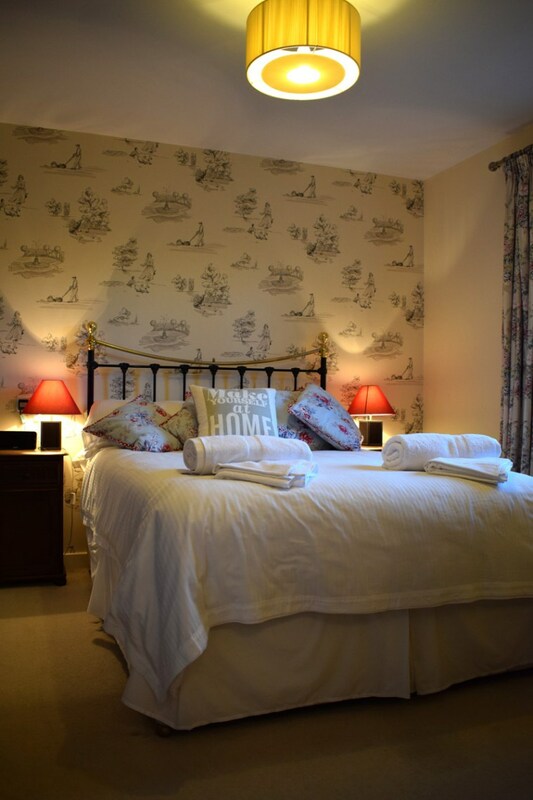 The cottage is pet-friendly and I think it's perfect for two groups of friends or a multi-generational family to use as a base for exploring North Yorkshire. Meadowside is a real home from home. The house is beautifully decorated (better than my own in fact) but still nice and welcoming. 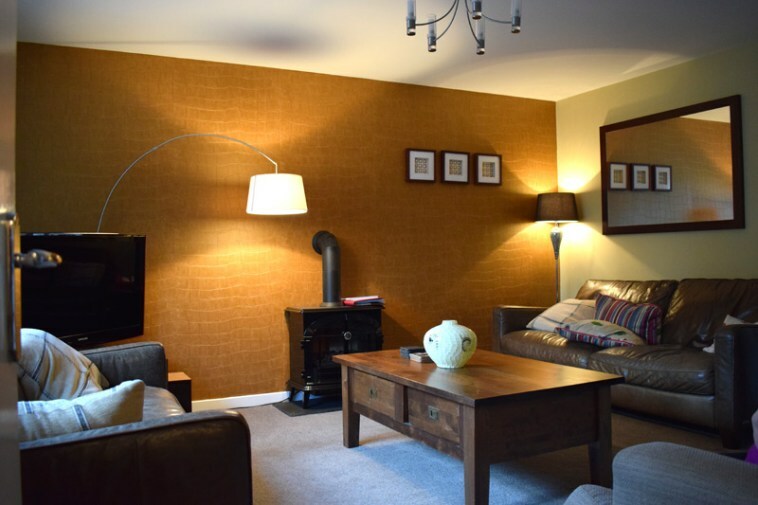 The Living Room is large with three comfy sofas, a fire and a selection of board games for you to enjoy. There was more than enough room for us all to hang out in here. 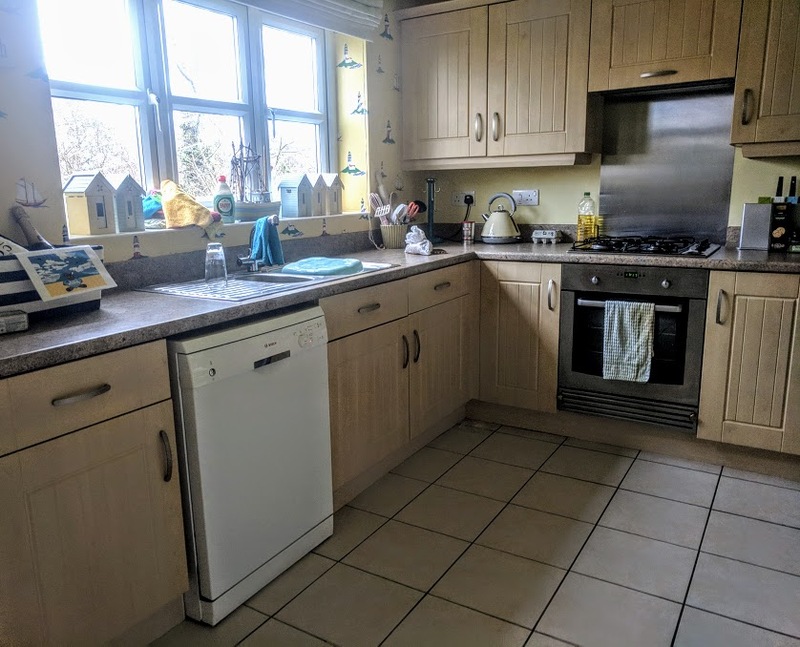 The kitchen is again on the large side with a side utility room too. 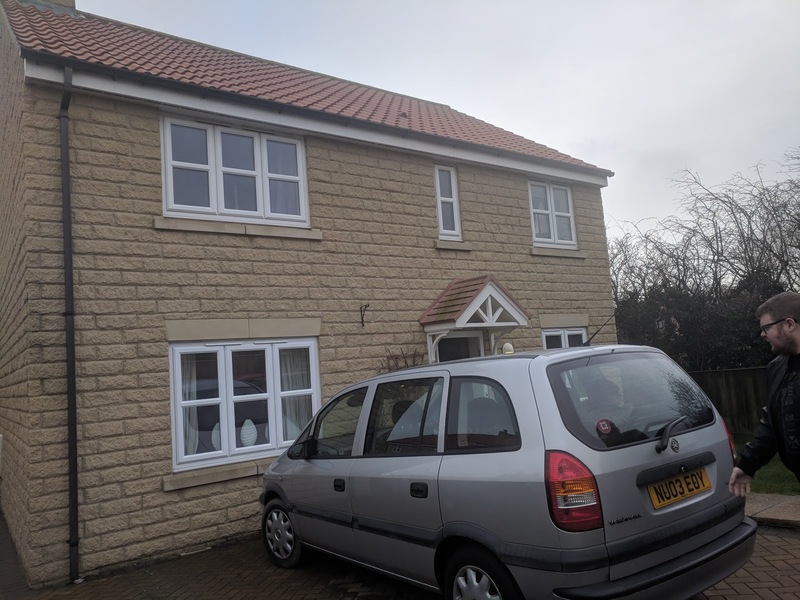 It had everything we needed for our weekend stay and looks out onto the back garden which is enclosed and perfect for kids to play safely or pets. A separate dining area was a godsend to us as we could use the table to put our food out buffet-style and get everyone to help themselves which was much easier when cooking in groups. The kids sat at the table too which created much less mess. Upstairs is beautiful too. Steve and I were given the master suite with it's own bathroom. 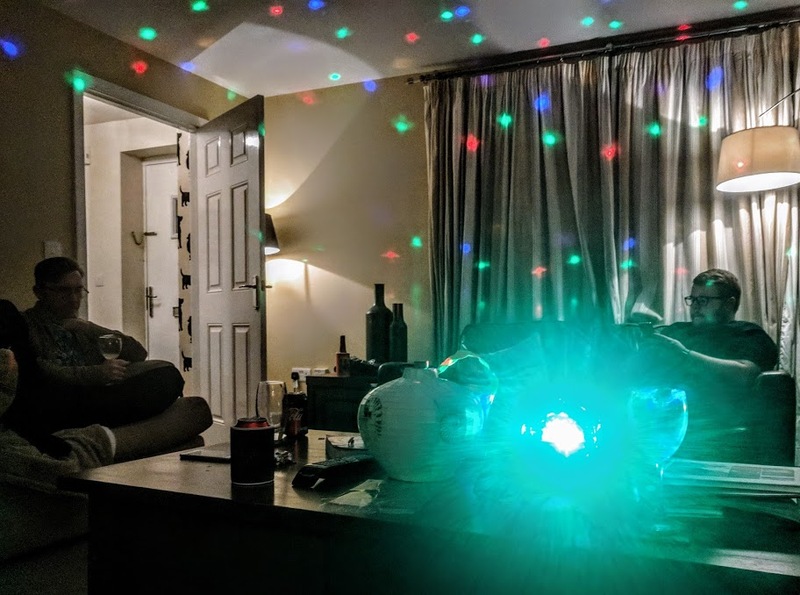 This felt nice and private and was perfect for staying with another family as it felt like we had our own little area. The beds were super comfortable and we all had a really good night's sleep. 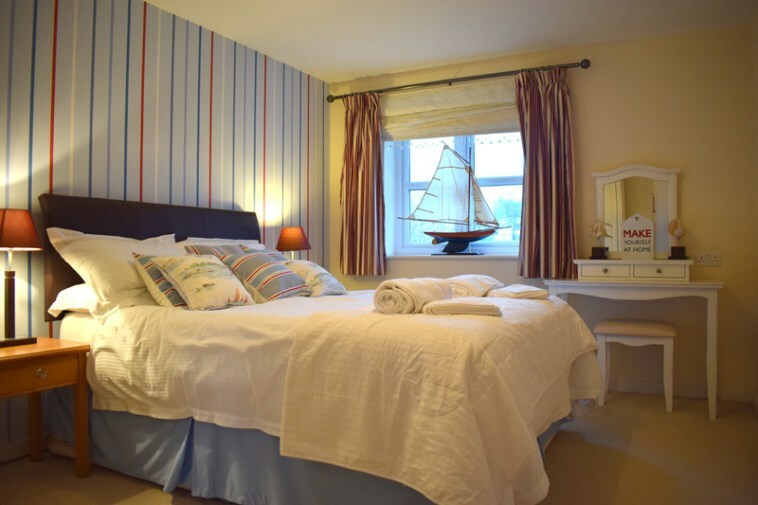 As well as the master suite there are two additional double rooms plus a single bedroom (with a bed and cot). 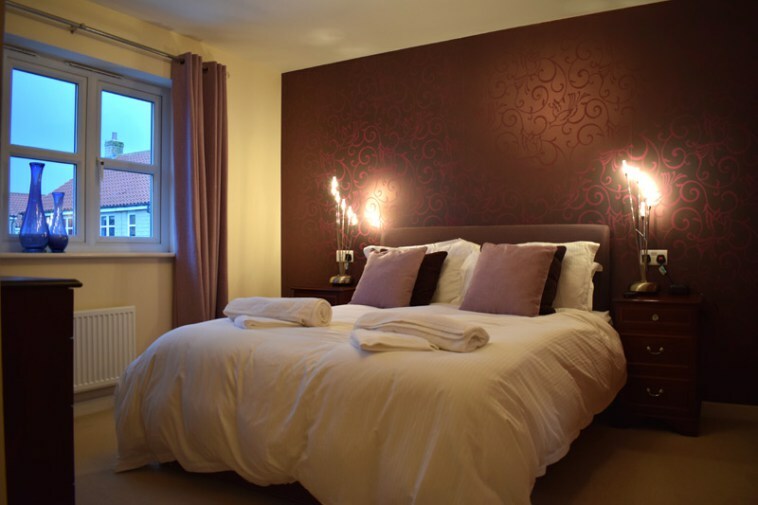 All are furnished to a very high standard and feel modern, bright and very comfortable. 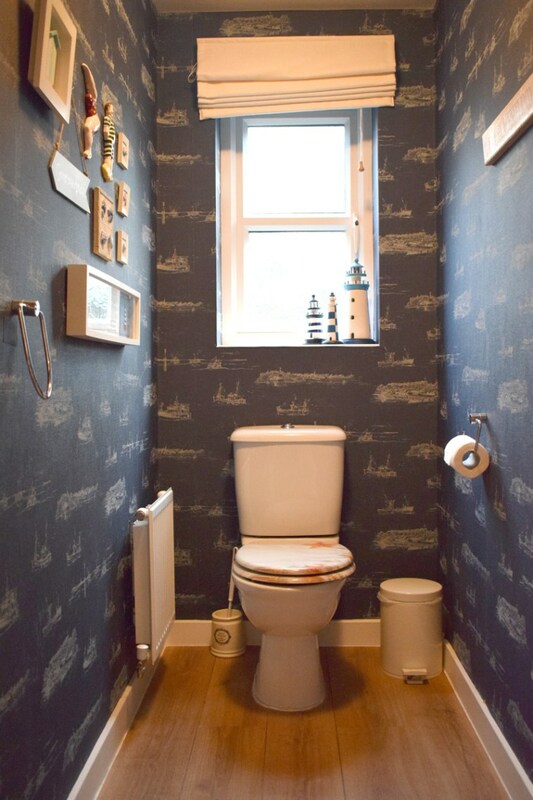 There's also family bathroom with bath upstairs - definitely a real home from home with lots of welcoming touches. It's weird how blogging works out. I only met the Hoopers a few years ago when I stumbled upon their Here Come the Hoopers site and I invited them to join our North East Bloggers Facebook group. It flashed up on my timehop while we were away that it was exactly two years ago that we first started chatting online. Over those two years we've been out together on numerous occasions both for blog and non-blogging related events and it's fair to say we're now firm friends. We have kids of around the same age and the same interests and it's very easy for us to get on. Our kids knew each other but not as well as us grown-ups and I did worry about how they'd get on staying together for a full weekend or if it would be awkward at all. It turns out I had nothing to worry about though. 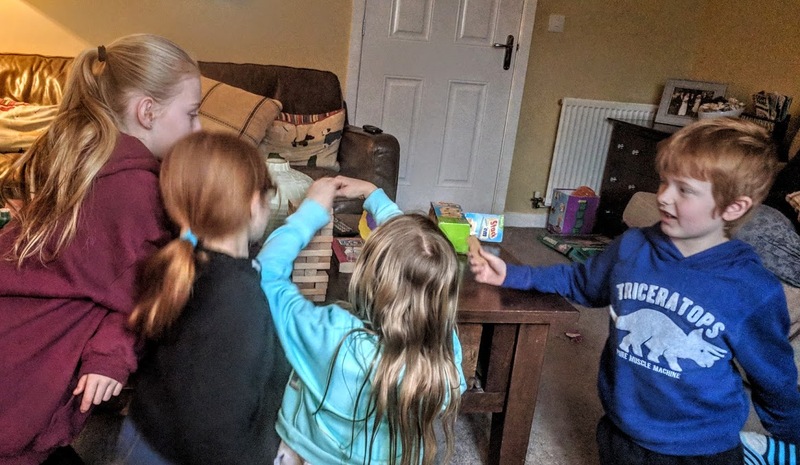 The kids got on like a house on fire - there's a mini games room in the cottage with an X Box Kinect and board games and along with a love of YouTube and Music.ly, the kids bonded really well and played upstairs and outside together for most of the time. Us grown-ups got on well too - after previously spending just a couple of hours at a time with each other, the ultimate friendship test is probably a weekend away but it was all good and Brownie-leader Cat fell into her natural role of organiser and prepared most of our food whilst Steve kept us all topped up with cocktails all night. We really had a great time and would highly recommend weekend breaks with your friends. We talked about anything and everything and have already made plans to go away together again next month (but sans children this time). A huge thanks to the Hoopers for inviting us to stay with them for the weekend - we loved our little staycation! I took it upon myself to organise the Saturday entertainment. It's tricky trying to find something for a group of 9 to enjoy that won't be over in minutes or cost a fortune. In the end, I decided we'd try a trasure trail. Both our family and the Hoopers have tried these before and they're a great way to get out and explore somewhere new. I ordered the North Bay Treasure Trail for £6.99. This was a 2.5-3 hour trail so the perfect length to fill in a morning. 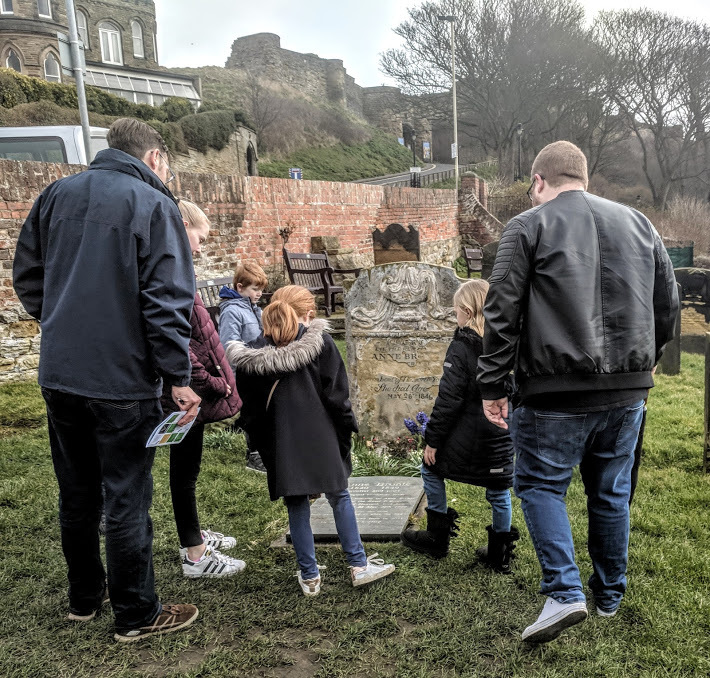 The treasure trail takes you on a self guided tour of your chosen location with clues and riddles to solve along the way. 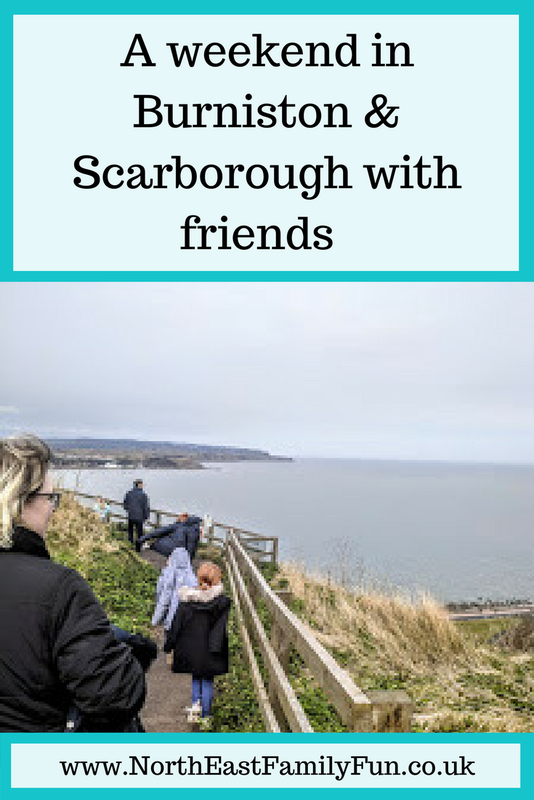 It engaged everyone and was a good way to see parts of Scarborough we hadn't explored before. You can complete your treasure trail at your own pace too so you can stop and play at parks or have a bite to eat along the way too. 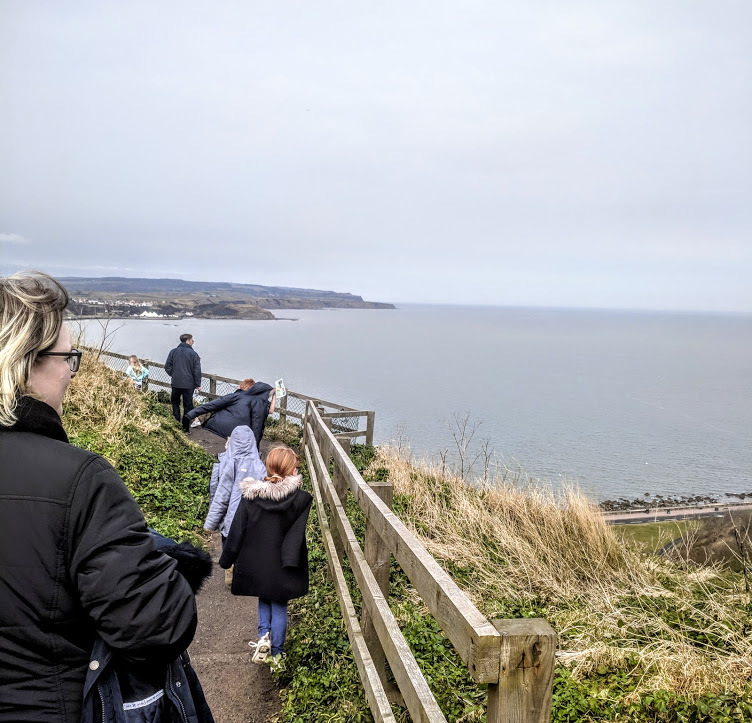 Our trail took us up to Scarborough Castle which is somewhere I'd not visited before. 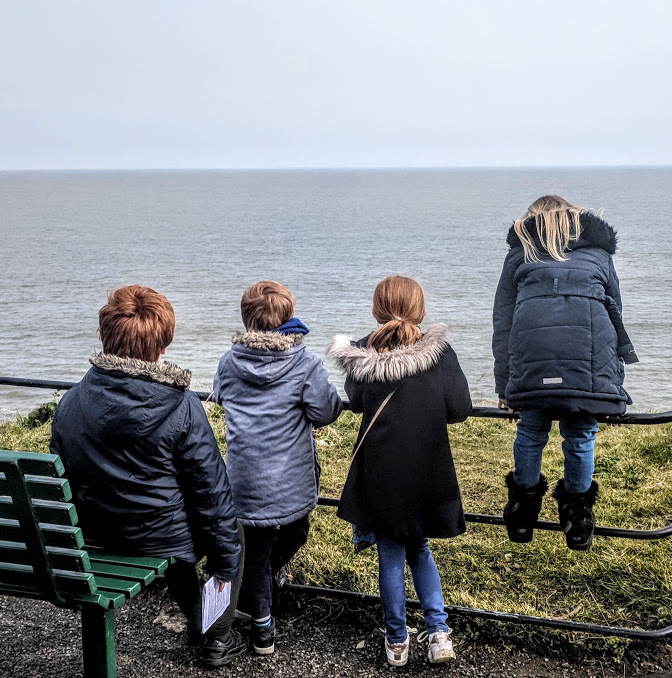 The kids (and dads) worked really well as a team to solve the clues and we were rewarded with some fantastic views of the North and South Bay. But we were dying for a coffee at this point and the kids needed a wee! So we stopped off at Oasis Cafe on the North Bay Seafront. Well what a mistake this was! As soon as the staff laid eyes on us their first words were 'you can't put tables together' - that was even before any kind of hello or welcome (which never arrived). Then they made us the worst cup of coffee I've had a long time - it was a cheap and instant job and not good. Cat asked for hers to be made a little stronger to be met with a very cold reception. The kids weren't much happier and said that their cakes tasted of fish and chips (lol!!). Then Cat spilt her hot coffee all over herself and rather than asking if she was ok/trying to help ect.... the staff simply complained that they'd have to mop the floor now. It was honestly the worst service I've received in a while and we were not made to feel welcome here. We walked past a couple of other cafes a bit further up and wished we'd tried there. You live and learn though and we'll know to avoid Oasis Cafe in the future! 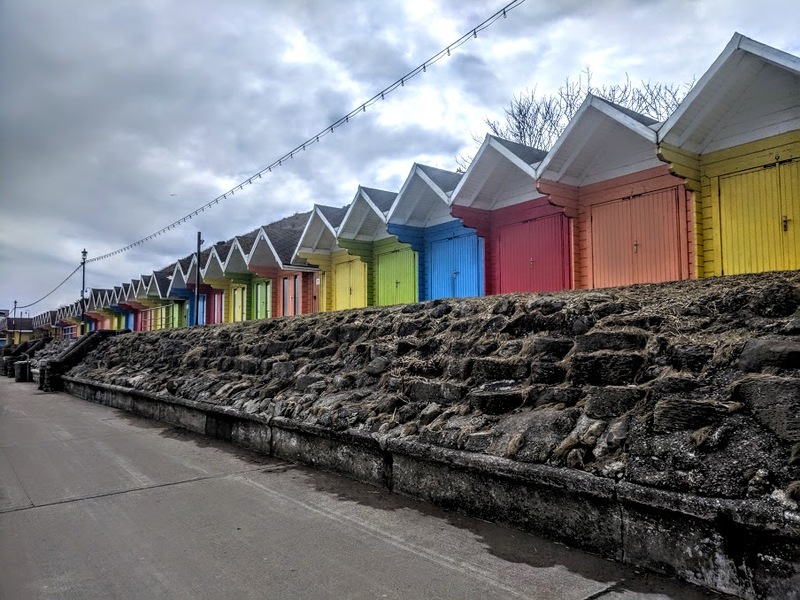 The walk along North Bay is fab as you get to see lots of brightly coloured beach huts and you can see a few of the animals in the Sealife centre too - the kids managed to catch glimpse of a seal. There are a couple of crazy golf courses here if you fancy a game too. 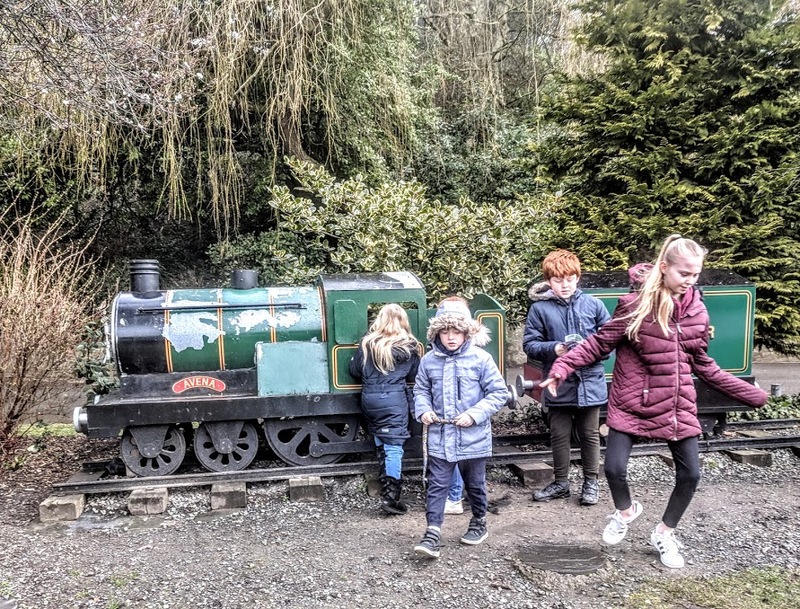 Our treasure trail finished at the miniature train station and we were going to catch the train back to Peasholm Park but just missed it and it was 30 minutes until another so we walked back instead (much to the annoyance of the kids). 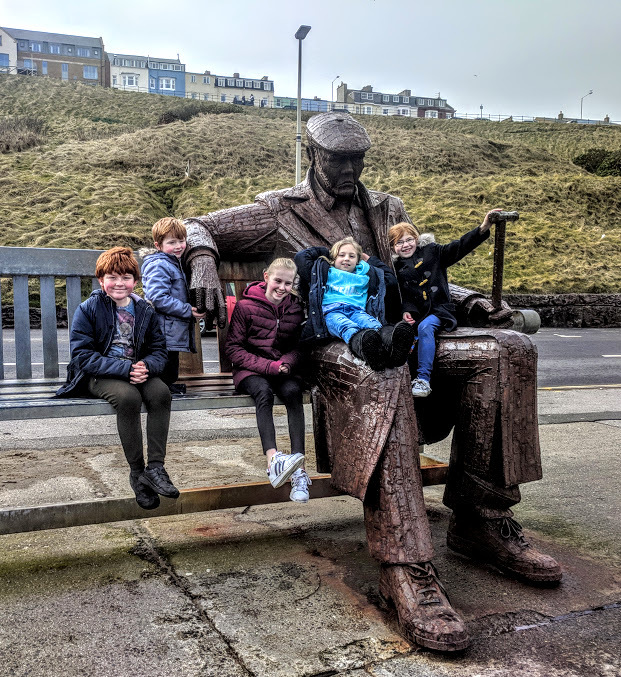 We solved the treasure trail whilst walking 17000 steps on Saturday and certainly earned our fish and chips! Once the trail had ended, we drove into the town centre and headed to the Seafood Social. 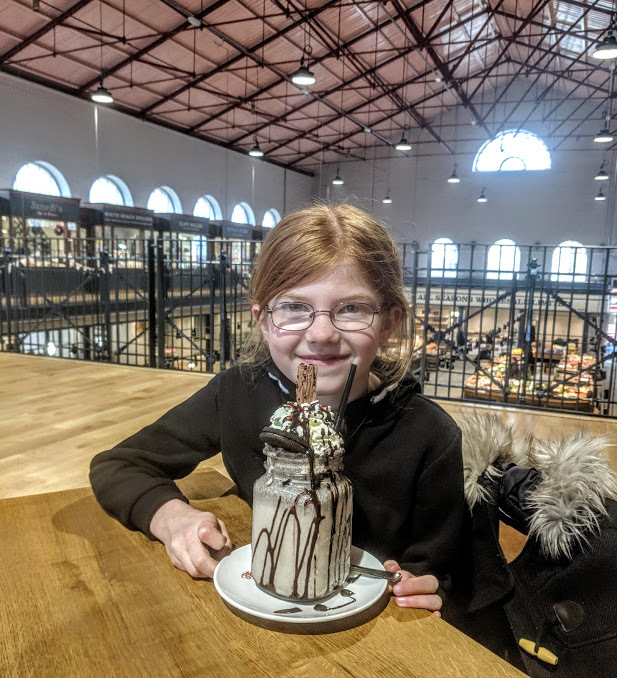 I'd wanted to visit since reading about this place over on Here Come the Hoopers and had could not wait to try it for myself. 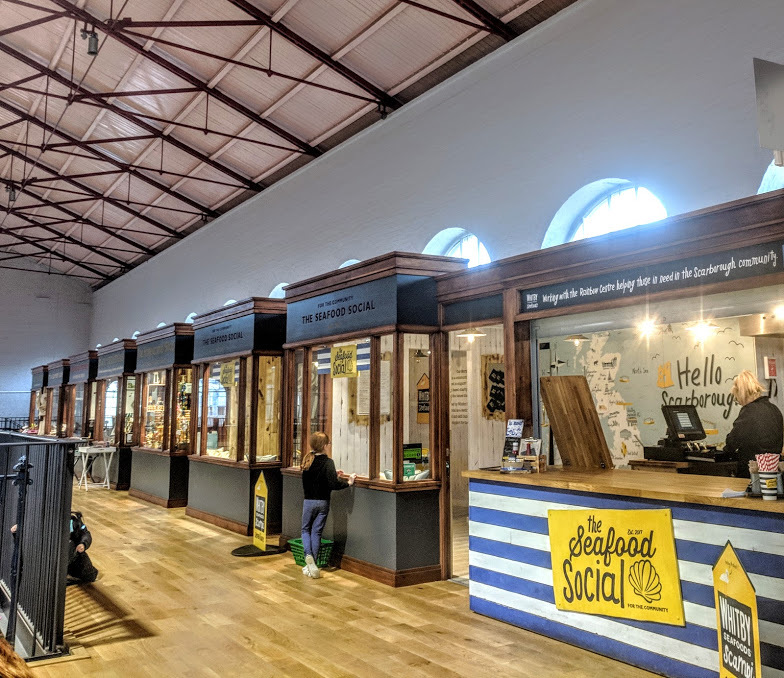 This old market hall is still a traditional market downstairs with butchers, bakers and greengrocers selling their wares alongside market traders. There was also live music playing on the day of our visit which gave the place a fantastic vibe. Upstairs you'll find some boutique style shops and a couple of food traders. It was the perfect spot for lunch and the staff were all really helpful and friendly. We had a mix of burgers, seafood, freakshakes and wine and all really enjoyed it. 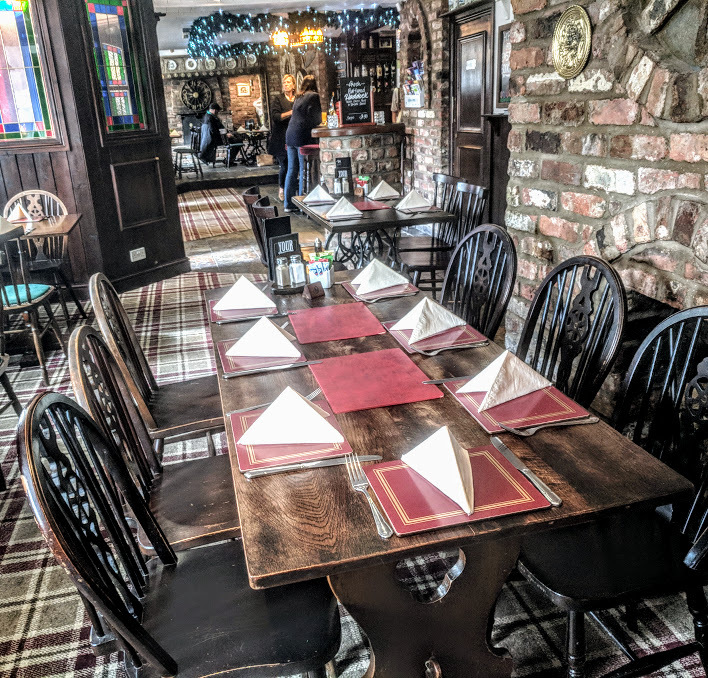 This venue is a fab choice for a group lunch as everyone just orders their own so there's no having to work out how to split the bill or remember everyone's order. 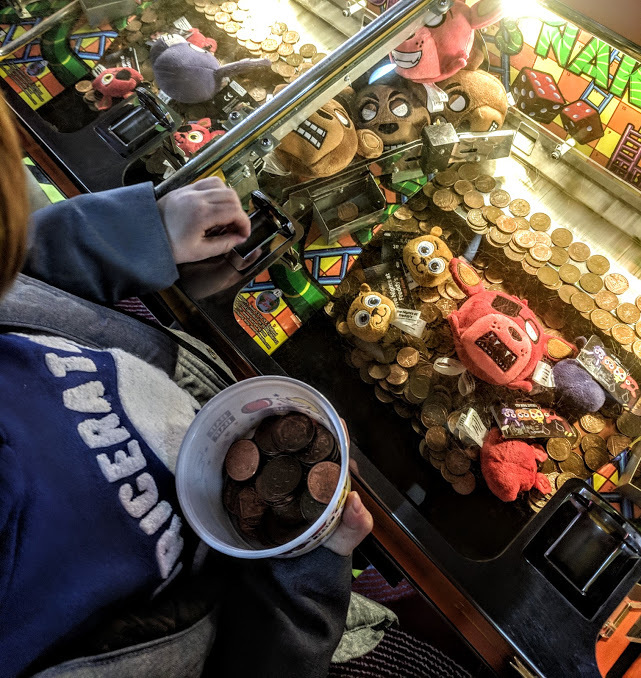 A trip to the seaside would't be the same without a play on the 2p machines and a trip to the beach. 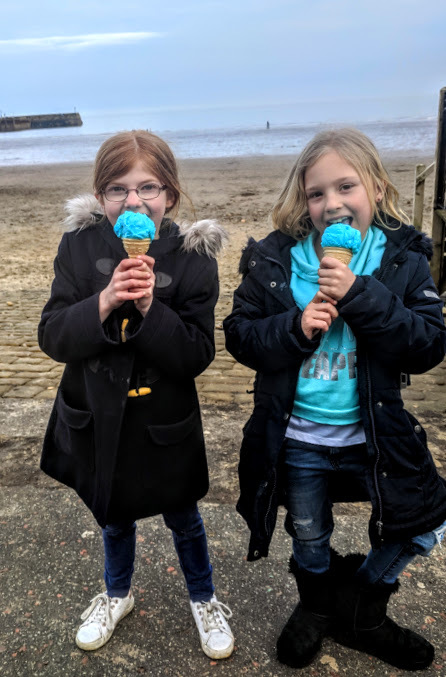 Despite cold weather conditions, the kids enjoyed an ice cream too. There's no stopping them! 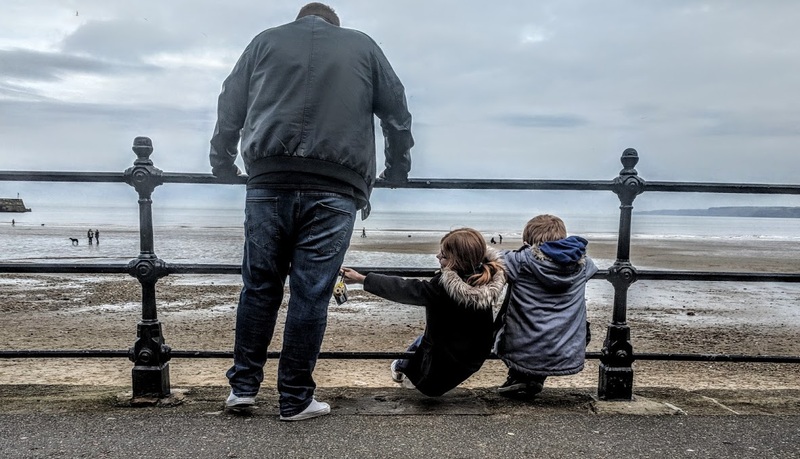 It's fair to say we were worn out after our Scarborough adventure but back at the cottage the kids just kept on going. 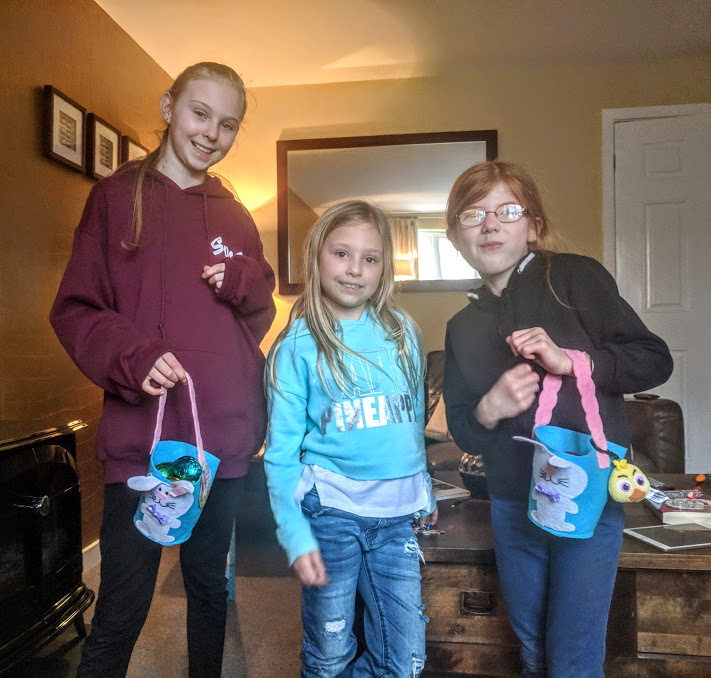 They organised an egg hunt throughout the house and spent the evening playing hide and seek. We put together a bit of a cheeseboard for supper and Steve kept us topped up with Margaritas and Prosecco coctails. My fears were realised and I woke up with a bad head. That will teach me for having a good night! I forced myself to drink a cup of coffee though and Cat made us all some bacon sandwiches and thankfully I was cured and was lucky to escape a full-blown hangover. Phew! 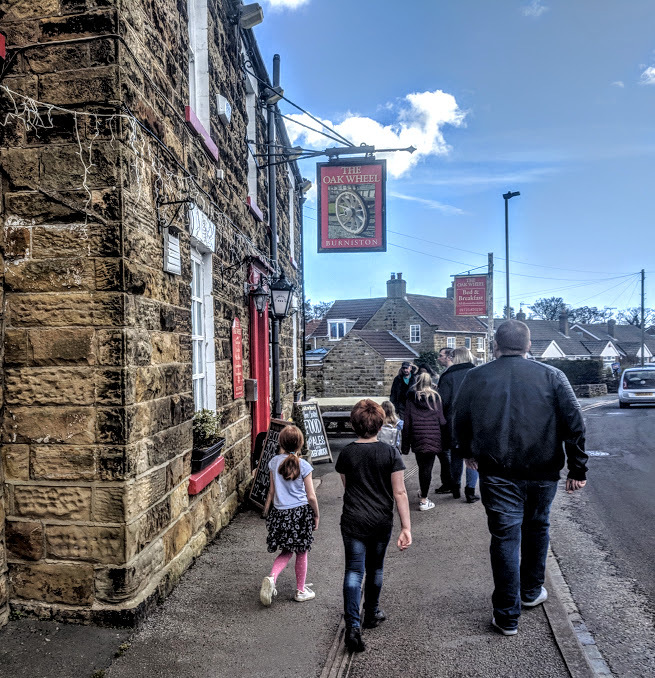 After a lazy morning drinking coffee and recovering from the night before, we decided to walk to a local pub for Sunday lunch. 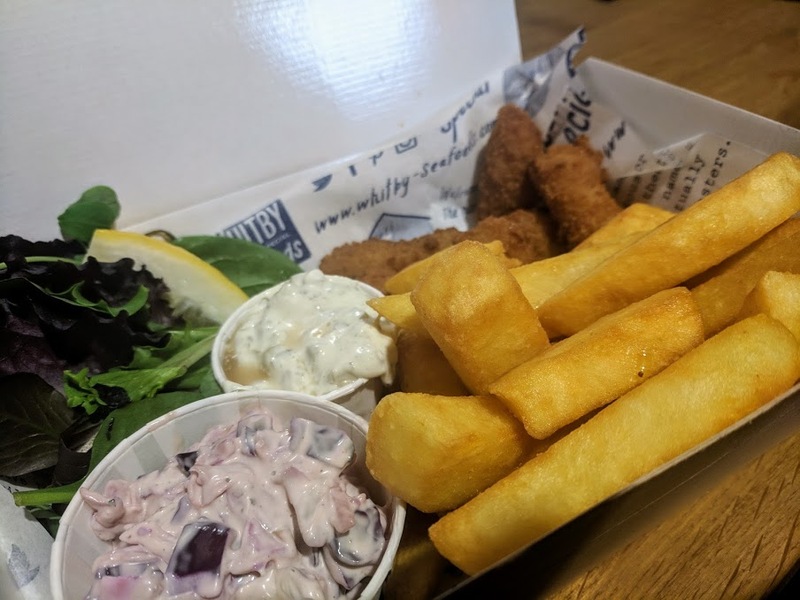 The Three Jolly Sailors was our number one choice but was unfortunately fully booked so we opted for The Three Oaks instead. Both of these pubs (plus a local shop and bus stop) are within easy walking distance of the cottage and ideal if you fancy leaving the car and treating yourself to a tipple. The Oak Wheel is very traditional in style and I think if you pictured a Yorkshire pub in your head, this would be it. 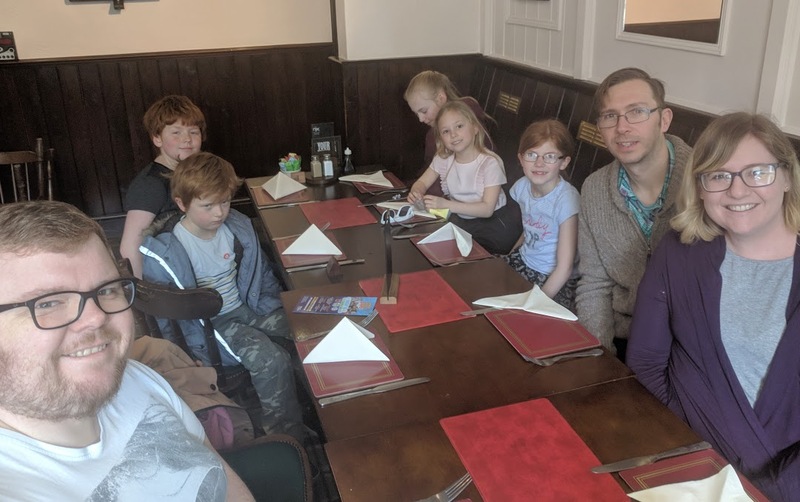 We were really impressed with the children's meals - they were very reasonably priced, homecooked and a big portion too. I liked how they put a huge bowl of chips in the middle of the kids' table for them to share. 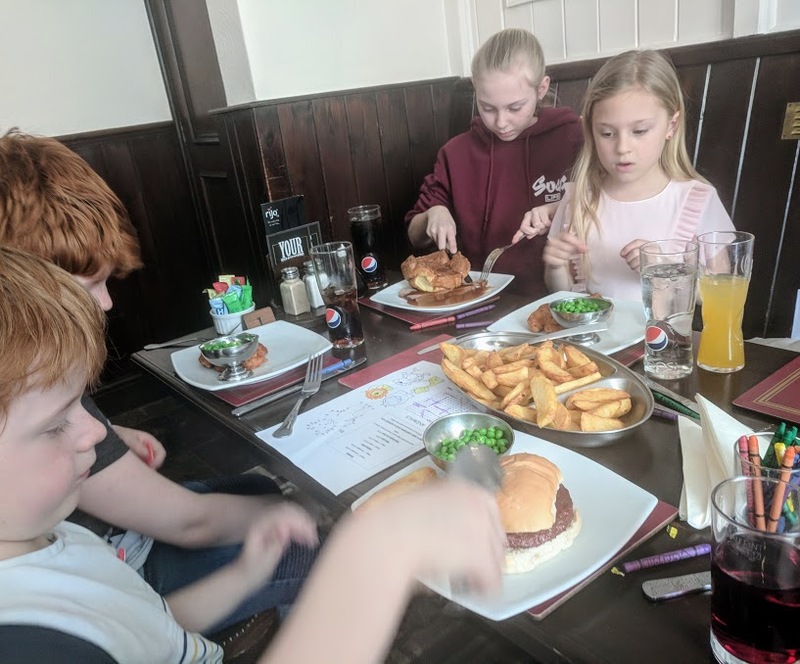 There were activity sheets which kept the kids entertained until their food arrived. I would say that service was a little slow here, we were there for the pub opening at 12noon and it wasn't busy. It took around 50 minutes for our food to arrive which did not please Jack and caused him to go into hangry mode as you can see below! 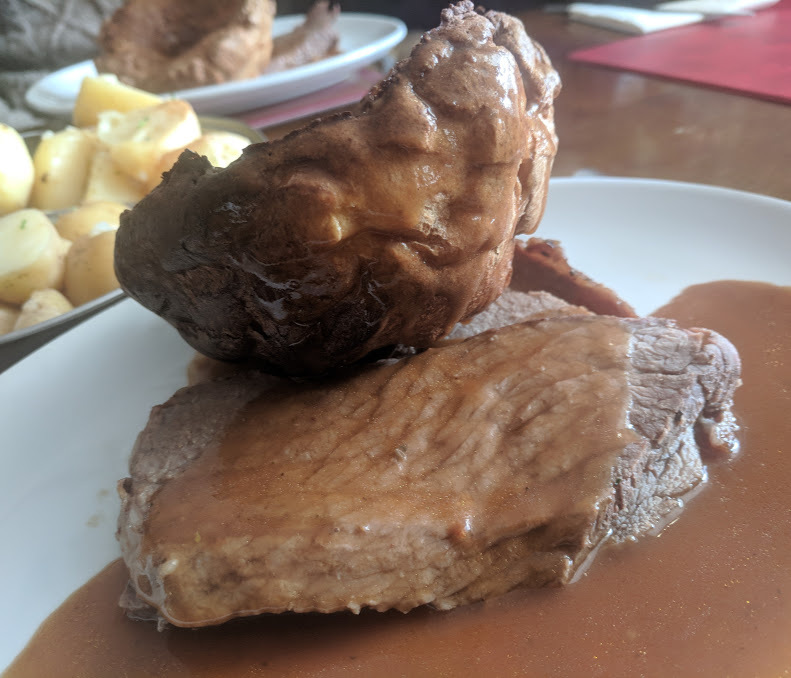 The Sunday lunch (£9.75) was lovely and all homecooked but my beef was far too tough which was a shame. We would go back to The Oak Wheel but perhaps for a more relaxed evening meal when the kids weren't starving. I'd be tempted to get organised and book The Three Jolly Sailors for Sunday lunch next time though as the car park was packed as we walked past which is always a good sign. After lunch it was time to say our goodbyes as we had a party to get to back in Newcastle. The Hoopers stayed on for the rest of the day and made the most of their break though and we definitely could have stayed a little longer. 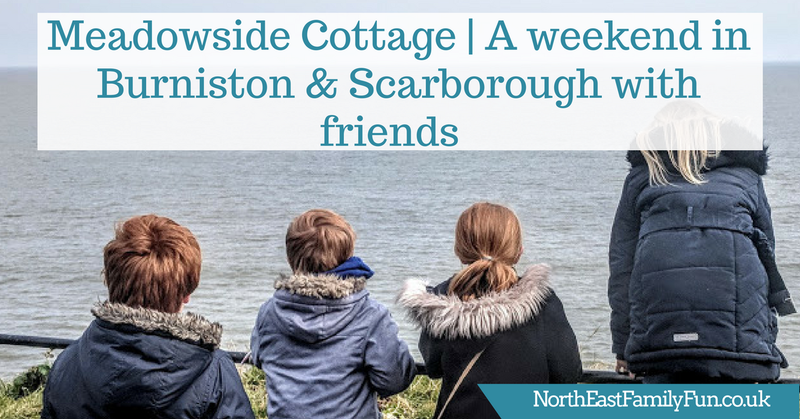 We really enjoyed our little weekend break in Scarborough and it's a lovely place to holiday with friends or family. I really enjoyed this trip as I discovered a few new places I'd not visited before. 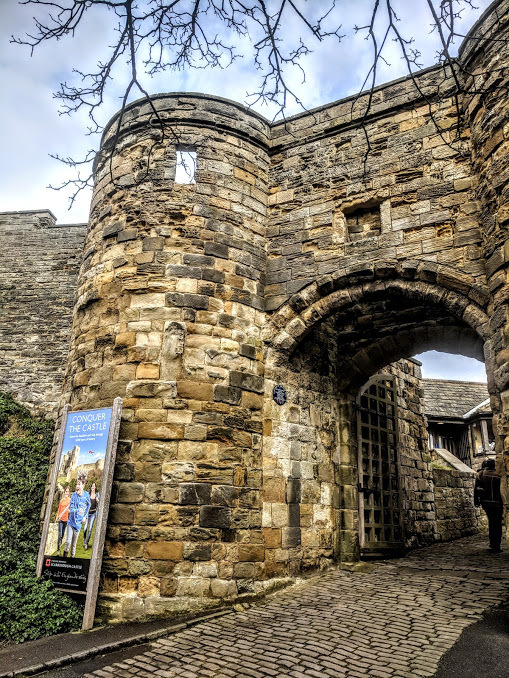 Let me know if you have any plans to visit Scarborough this year or if I've inspired you to visit any of the places I've mentioned. I love Scarborough but I don't think I've actually been since relocating up north! That coffee shop sounds horrendous - how do they still have customers?!! Thanks for sharing your lovely weekend, I'm feeling very inspired to plan a weekend by the sea now! What a lovely post! thanks for coming with us. We had such a lush weekend and it's great the kids got on so well. 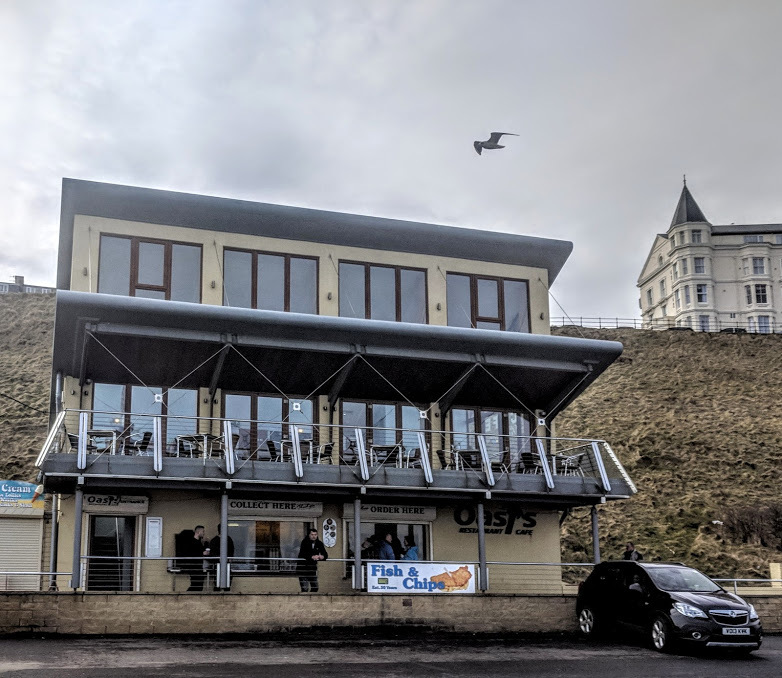 I can't believe that oasis place is still in business like...we know for next time to search out the best cafes on sea front and to get into the jolly sailors!! That coffee shop was hilarious. I’ve not been anywhere in the last 10 years that only offers “BLACK OR WHITE” coffee. They had a fancy machine but only used it to boil the water. We had a fun weekend and I think there was enough room not to get on each other’s nerves too. Lovely, informative post and lots of good photos. Hopefully you'll inspire many people to travel there. I LOVE Scarborough I haven't been in years but we used to go there all the time when I was little so lots of fond memories!